The Agilent 8714ES features an S-parameter test set with full two-port vector-error correction, providing complete and accurate measurements of device S-parameters. Two independent channels can measure and display two parameters such as S21 (transmission) and S11 (reflection) in a variety of formats including delay and SWR, on rectangular, polar or Smith-chart displays. 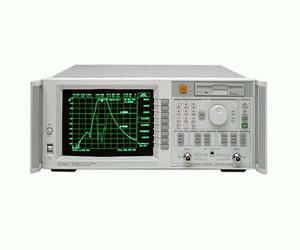 The Agilent 8714ES has a frequency range of 300 kHz to 1.3 GHz. The ES models contain a 60-dB source attenuator as a standard feature, giving 70-dB of power-level control for testing active and passive devices. Both 50-ohm and 75-ohm versions are available.